Watch the Harlem Globetrotters make an impressive shot. HOUSTON (KTRK) -- Most people can barely make a shot from ground level, much less from 14 stories up. Thankfully, the Harlem Globetrotters are not most people. The team was casually warming up from the roof of NRG Arena on Monday morning when one of their players made the basket of a lifetime. 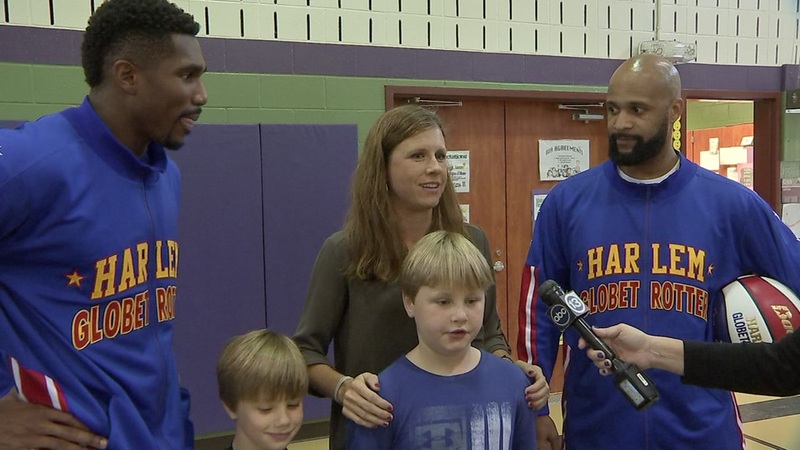 The Globetrotters met with some Spring Branch students to talk to them about bullying, but it was an extra special visit for an 8-year-old cancer patient who saw them three years ago. The Globetrotters are gearing up for their Dec. 26th game at NRG Arena, where you can enjoy all of the ball handling wizardry and basketball artistry.